Welcome to the Piney Woods of East Texas! M. Moffett & Company - East Texas Land, Tyler County, Texas' leading Real Estate Brokerage company is located in Woodville, Texas and serves Tyler, Polk, Jasper, Hardin, Angelina and surrounding counties of East Texas selling residential, farm, ranch, land, water front, and acreage real estate properties. If you're searching for property we can help you find your perfect place in the Pineywoods of East Texas. Whether you're looking to buy a home in town or a large recreational tract in the country, our team of experienced, dedicated professionals are ready to assist you in finding that special property. 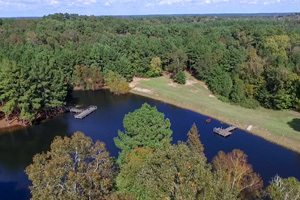 We offer residential and commercial properties, with an emphasis on East Texas farm and ranch properties, raw land, live water acreage, lake frontage properties, recreational acreage, timberland, and other investment tracts. 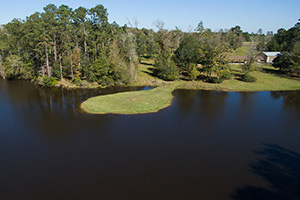 Rural property in East Texas is in high demand. If you own rural property, raw land, timber land, a home, or a home on land and are thinking about selling, please contact us today and request your free Market Assessment and complimentary Aerial Photomap of your property. If you do decide to sell, our local print, internet, and outdoor advertising is unmatched and coupled with our membership in the Texas Association of Realtors and the Houston Area Realtors Multiple Listing Service (MLS) we offer our clients the most visible, professional, and effective marketing campaign in the area. Now offering aerial photography and mapping services by our in-house certified FAA Unmanned Aerial System (UAS) operator! Please contact for further details. Stop by and visit our office located at 802 W. Bluff, about one mile west of downtown Woodville on U.S. Highway 190 West. Or give us a call at 409-283-8737. As the longest serving real estate company in Tyler County, we welcome you to our part of the beautiful Big Thicket and Pineywoods and hope you enjoy your virtual visit to East Texas. Thank you for choosing M. Moffett & Company - East Texas Land as your real estate broker! Serving the Piney woods of East Texas since 1997! Situated near the end of County Road 3240, about five miles east of Colmesneil is this 77+/- acre improved recreational property features mostly pretty, rolling wooded acreage, a high open field, two ponds, numerous interior trails, an established hunting camp, and a 4,000+ square foot metal barn complex offering enclosed storage space, a tack room, livestock stalls with attached equipment shed. A private, secluded property ideal for home or ranch building! Pineywoods Lake Front 2-Story Home - Lake Tristan! A Pinewoods Lakfront Paradise! Set on two waterfront lots, approximately .66 acres in total, is this beautiful two story home offering two bedrooms, one bath, over 1,400 feet of living area including a huge upstairs loft area with balcony, and wonderful elevated views of the manicured yard and lakefront below from the rear covered porch!, and much more! A unique property featuring an historic dog-trot farm home sitting amongst century-old live oak trees. The property has most recently been operated as "The Homestead" restaurant but could be modified and used as a private residence. The wood framed structure has 2,632 SF and features three bedrooms, three bathrooms, a large kitchen with commercial venthood, storage area, offices, high ceilings, dual-fireplace, and a delightful open front porch offering pretty views of the grounds! Impeccable 3BR/2BA Home on 3+ Landscaped Acres! Country living with many nearby amenities! 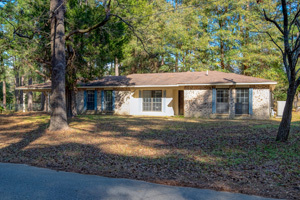 This three bedroom, two bath is set on an idyllic, wooded 3.14 acres in the city of Ivanhoe and offers many custom features including beaded board ceilings, granite countertops, lovely laminate flooring, a detached garage, paved driveway, and a wonderful elevated covered porch overlooking a beautiful landscaped yard with shady hardwoods treesst! Download the "Texas Real Estate Commission Information About Brokerage Services"
Download the "Texas Real Estate Commission Consumer Information Notice"
60+/- Wooded Acres with Spring-Fed Lake and Two Homes! M. F. Moffett, III, Broker, ABR, CRS, e-Pro. For information about our properties call 409.283.8737 or email info@mmoffett.com. with requests, questions or comments regarding this site. Copyright © 2019, M3M VENTURES LLC, dba M. Moffett & Company - East Texas Land All Rights Reserved.